President Williams’ #BuyBlack Holiday Joy! 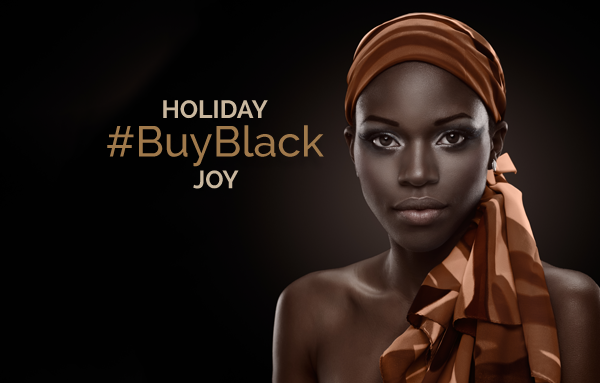 Yes... you can have some fun this holiday season by supporting the #BuyBlack movement! Black people spend $1.2 trillion annually, yet we only spend a small percentage within our community. We need to not only move our money to Black owned banks or #BankBlack, but also move our mind to look for opportunities to #BuyBlack as well! I bought African print hoop earrings from That Ladys Closet which is the store for Diaspora Africa on Etsy. By day the owner, Shalair Armstrong, is a chiropractor. By night, she’s the seamstress and designer behind Diaspora Africa, located inside her Codman Square chiropractic office in Boston. With Diaspora Africa, I love that I can buy locally in Boston and online. So…I wasn’t a head wrap fan until I went natural and did the big chop! Now, I love all things natural and love The Wrap Life! I have friends who wear wraps all the time and look so regal. I love The Wrap website because it includes video tutorials on how to wrap. I carry the Mona Visa debit card and love the response I get when I pull it out! I love the internationally acclaimed artist, Addonis Parker, who paints such powerful images like Mona, Amir and Lady Liberty. For the holidays, I bought a great phone case gift with one of his paintings, “Scope Ice Cold.” By visiting Addonis Parker’s website, I found a link to Addonis Parker’s shop at Fine Art America where I could purchase all kinds of gifts with his art. I’m an author, avid book reader and book giver. Many cities have Black owned bookstores. For the holidays, I purchased books from Eso Won Books in Leimert Park, Los Angeles. There was a great story in the LA Sentinel about Eso Won Books where the owner, James Fugate, says he’s thankful to the community for its support throughout the years. He sees Eso Won’s success as a circle, one in which the community plays a vital role. “Your support of our store continues to keep good books in print and continues to promote the books,” said Fugate. “It’s very important to have independent bookstores. A lot of people don’t realize what’s going to happen if you only have one source of getting your books.” Fugate and his partner, Tom Hamilton, provide a wealth of information on authors and history and hold book signing events. President Williams discovered many other Black owned businesses during her journey to #BuyBlack for the holidays. We encourage you to take your own journey. Check out local Black owned business, shop online and/or use online resources such as We Buy Black. Even small purchases add up to build wealth and create jobs in the Black community. Share your recommendations and get the Amir, Mona or Lady Liberty Visa Debit Card to #BuyBlack every day! thanks for this information. I want to be informed, but I only use the computer, and that was not an option for staying in touch. great info !!!! Hi Karen. This is not something that we have at this time. I am from Virginia I Wii I like to move my money to the United Bank.. I would like to know where I can Bank if and when I need some income if an emergency occur. Hi Theressa. We don't have any branches in Virginia, but you can still bank with us online at www.OneUnited.com. We offer access to over 25,000 ATMs across the nation, surcharge-free where you can withdraw cash. Just use the ATM locator on our website to find the ones in your area! Sorry, I meant to say "Is" there a black bank with 24-hour service similar to that of Wells Fargo? Hi Danny,Banking online with OneUnited Bank provides you with safety, security, and easy access to our banking products and services. After opening your account, you will receive a debit card associated with your account and access to over 25,000 ATMs nationwide. You can also use our mobile app to get cash on the go, manage your money, and deposit checks. And our customer support team is available to help you along the way. I have been waiting for this for a while now. I would like to be a part of this movement and enfluence individuals to participate. We are excited to hear that you would like to join the OneUnited Community, Savour! Please check out all of our great products to find the account that works for you.